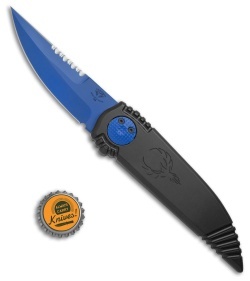 This Phoenix model sports a black handle with a phoenix laser etching and a CPM-S30V steel blade with a blue cerakote finish. The top edge of the knife has been sharpened with a partially serrated cutting edge. 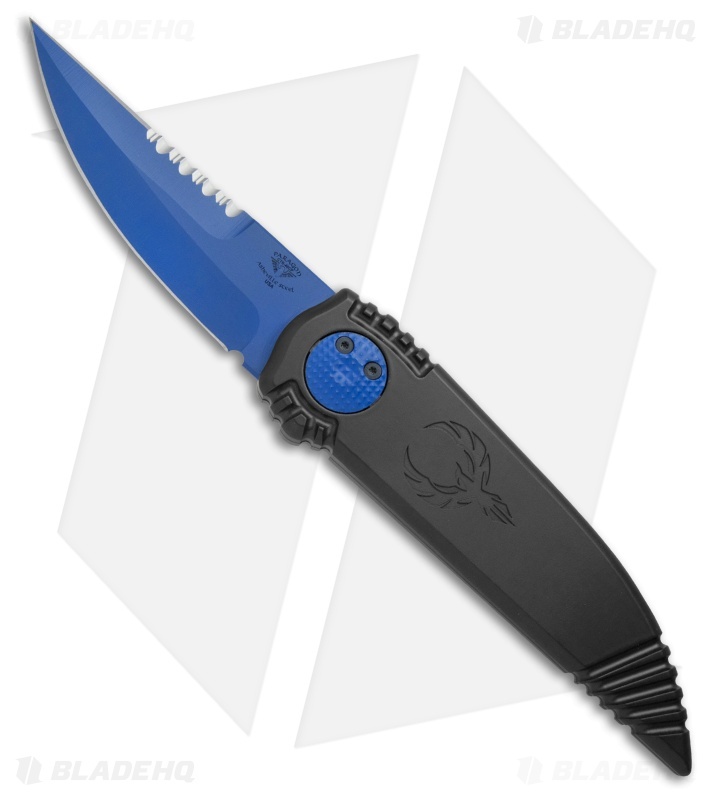 The Paragon Phoenix offers a single-edge version of the popular Warlock design. 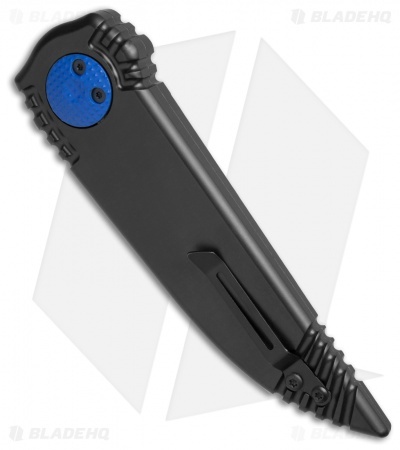 It has the same innovative opening mechanism that offers quick one-handed deployment and easy closing. The handle is made from tough and lightweight aluminum with a tapered pommel that rests perfectly in the hand. CPM-S30 steel provides a tough blade with a compound grind for precision cutting performance. 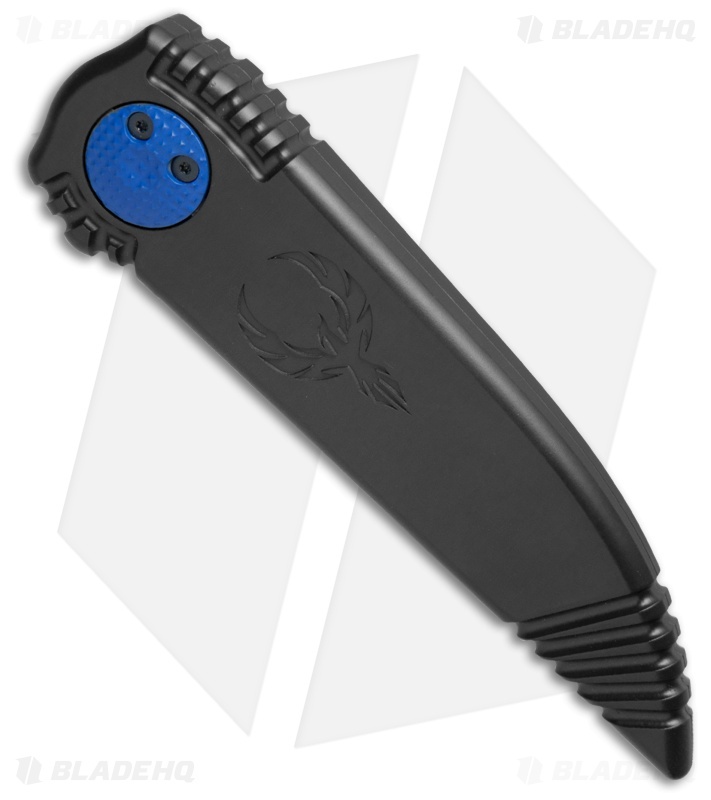 A stainless steel pocket clip with a black finish completes the superior design. Innovative cerakote coating process provides an extremely durable blade finish.